to acquire. Search for dental practices for sale in the UK or get in touch today. Need financial support to buy? We can broker dental lends every day. No matter if you’re buying your first or tenth practice, we can help. Let us make the whole finance process as simple as possible. We’ll assist you with ensuring your purchase is financially sustainable. Taking your personal circumstances into account, we’ll do our utmost to secure you the best possible deal on the market. What is even better is that in 76% of cases our services comes at no extra cost whatsoever. Furthermore, if you are buying a practice outside of Dental Elite you will still benefit from our CQC service. Upon registration you will be allocated a Buyer Account Manager to work with throughout your practice search. Your account manager takes responsibility for ensuring you do-not miss a practice and will be allocated depending on your acquisition aspirations. All of our consultants take responsibility for both their valuations and the successful sale of their practices so you will always be able to speak to someone who conducted the practice valuation to explain their methodology. We support all of our Buyers and Vendors through the DDQ and CQC Application processes if they want us to. Both of these processes can significantly delay the sale so we takeover some of this process in order to expedite the timeline as much as possible. Our Sales Progression team will be in contact on a regular basis (daily if required) to ensure you know exactly where your transaction is and what is holding it up so you are never left wondering. Dental practice sales transactions are more complicated today than ever before. There have been many changes since the start of the 2006 NHS contract including the creation of the Care Quality Commission, Information Governance and restructuring of NHS England, setting light to the dental practices for sale market. 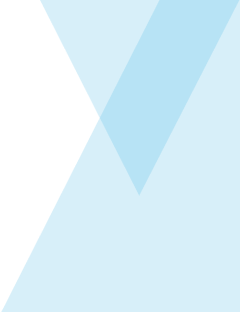 The option to trade as a Limited Company has encouraged multiple practice ownership and fuelled goodwill values nationwide. However, the process of selling dental practices is now significantly more difficult with due diligence taking longer due to complex variables when selling or buying a practice. As a result, dental practice transactions can now take far longer than ever before. But with the right advisers working with you this doesn’t have to be such a long process. 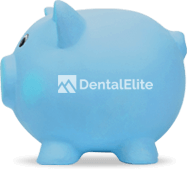 At Dental Elite, we deliver a service that manages the process efficiently and works towards a number of milestones in a transaction that get you the result you want. Every year there is something new in Dental Practice Acquisition from the current impact of the poor availability of Associate Dentists to the re-tendering of Orthodontic Contracts. We believe that only the most active agents, like us, who are invested in the profession by attending regular seminars and trade shows have a real measure of exactly what is changing in the market and are placed to adapt valuations and sales strategies accordingly. For advice, give our experts a call on 01788 545900. Tom joined Dental Elite in August 2014 from BUPA where he worked as an Account Manager. Tom now works in our Sales Progression team as a Senior Account Manager, assisting acquirers with big ambitions to both source practices and get them to completion, as well as managing practices selling to larger consolidators through to completion. Laura has worked across a number of roles in Dental Elite but has found her niche in helping wannabe dental practice owners across London and the Home Counties in finding their first or second dental practice. She has a tenacity in working with practices which sit on the market a little longer than others. Laura joined Dental Elite as a member of our Business Support team in Late 2017 and was quickly promoted in a Buyer Account Management role looking after buyers seeking to buy a practice in the North, Scotland or Ireland.